Formerly known as Project Aster, Heesen has welcomed its latest boat, Masa, to its award-winning fleet, marking the first ship in the newly designed 5000 Aluminium Class. As the first ship u the 5000 Aluminium Class range, Masa has a lower carbon footprint while still maintaining the speed and efficiency of its predecessors. It has also been fitted with soot filters to complete its reputation as an eco-friendly member of the fleet. One of the most noticeable aspects of the Masa is its pelican-beak bow with reverse sheer, as designed by Frank Laupman of Omega Architects, in keeping with Heesen’s sleek and contemporary brand DNA. Similarly, her 50m all-aluminium semi-displacement hull has been designed and engineered by Heesen’s in-house team to construct a lightweight, high-speed yacht capable of towing the line between unparalleled performance and luxury. Stepping on board, Masa features a blend of light and silver colours for an atmospheric effect befitting of a ship of its stature, as designed by Cristiano Gatto. The boat is equipped with five lower deck suits and a master stateroom on the main deck forward, boasting enough room to house 12 people comfortably, as well as a nine-person crew. Masa will remain in Oss’ harbour basin for the final elements of construction, before heading on her maiden voyage to Hellevoetsluis in South Holland to undergo a series of sea trials and tests. It is expected to be available for delivery in 2021. 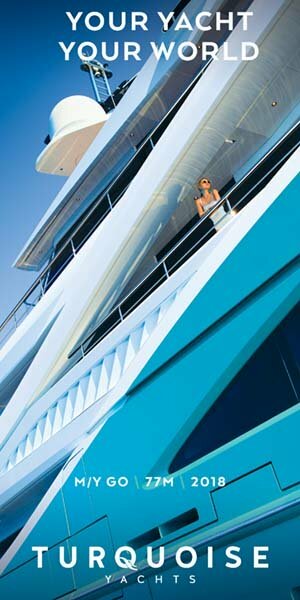 For more information, visit the Heesen website.